1. 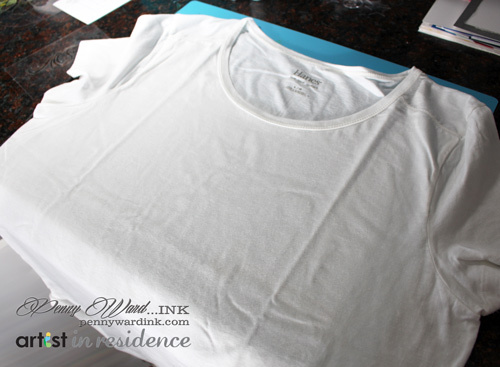 Prepare your shirt by sliding a piece of cardboard (even a cereal box will do) between the front and back. 2. Spray backside of stencil with temporary adhesive (blot adhesive off on a scrap of paper a couple of times). Place stencil in desired position on shirt. 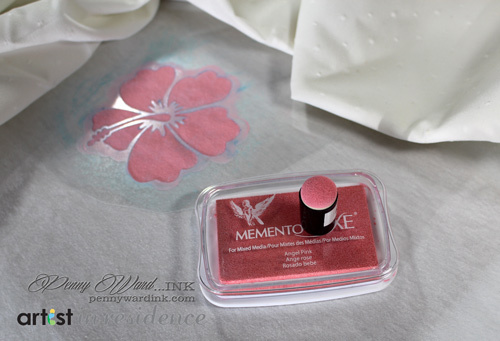 Using a Sponge Dauber, apply Memento Luxe ink until you achieve desired coverage. Continue this same step for each flower. 3. With temporary adhesive on "flourish" stencil, position as desired. 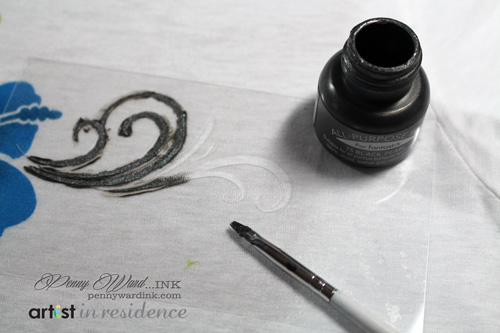 Apply Black Pearl All Purpose Ink with a paint brush. (Use a light hand as you don't want to move the fabric underneath the stencil). 4. 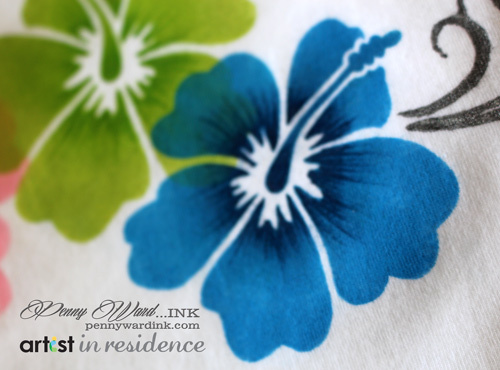 When shirt is completely dry, add shading to flowers with a coordinating Fabrico marker. Let dry. Memento Luxe Bahama Blue, Pear Tart, Angel Pink. Fabrico markers Pea Pod, Midnight, Cherry Pink. All Purpose Ink Black Pearl.